Every year, drivers are rated on a wide variety of metrics, but one common occurrence is Texas drivers often score low in the national ratings. To gain a better perspective on why Texas can be dangerous for drivers, it helps to identify the problem areas. Understanding certain statistics can help Texas drivers know and avoid dangerous situations on the road. The scores, which are found by a number of organizations including insurance companies and the National Safety Council, range from below average to the worst in all categories. They include information about standard driving conditions found in the United States. Some of the stats include real-life situations like average driving speed, distracted driving, and other reckless habits. Here is how Texas can be dangerous for drivers of all vehicles. 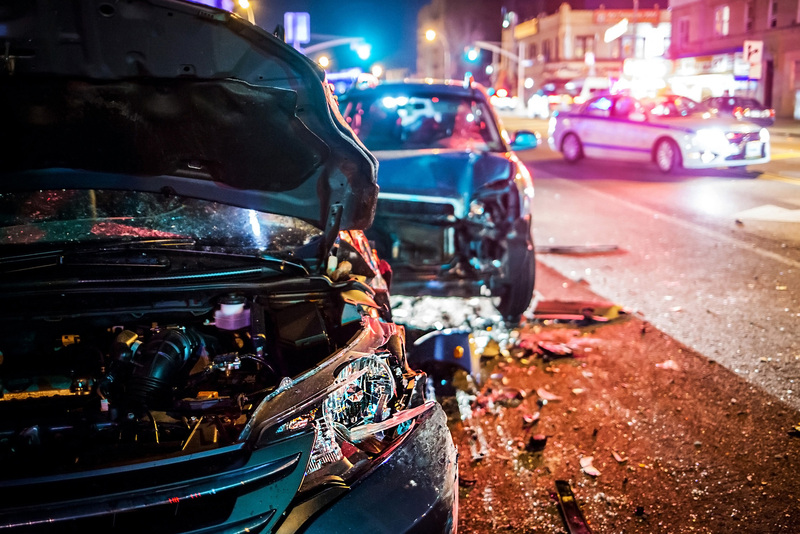 A reportable car accident occurred every 59 seconds in the state of Texas in 2017, according to the Texas Department of Transportation (TxDOT). Statistics show that many Texans love to drive fast and wait to brake until the last possible second. According to the safety app EverDrive, 40% of the state’s population inappropriately use their smartphone while driving. The app shows that many Texans drive more aggressively than in other states as well. The results from a recent study by Car Insurance Comparison showed Texas drivers are some of the worst in the nation in the category of drunk driving. Some of the factors that could cause a drunk driving accident include ignoring traffic signals, speeding, and careless driving. Drunk drivers are dangerous and put everyone else on the road at risk. The trucking industry is the main source of transporting goods throughout the United States. Texas roadways are often the main source for connecting to different locations. The high volume of commercial trucks leads to a large number of traffic accidents. Statistics from TxDOT show that 24,784 commercial truck (semi-truck) accidents happened in 2017. Of that, 433 were fatal. Motorcycle accidents aren’t as common as other wrecks, but they are known for causing more severe injuries than other types of crashes. These are often caused by other drivers making left-hand turns, head-on collisions, drunk drivers or motorcyclists, and lane-splitting. Motorcycle accidents killed 5,286 people in 2016, according to the National Highway Traffic Safety Administration. Of that number, 1,350 of those accidents were alcohol related. It’s important to pay close attention while traveling on Texas roads at all times, no matter what you drive. All drivers and motorcyclists should avoid driving drunk and take driving or riding seriously. The following are some of the most startling statistics from reportable accidents that TxDOT gathered for 2017. There were 23 fatal vehicle accidents that resulted in 26 fatalities in the city of Amarillo, Texas in 2017. The TxDOT numbers showed 96 serious vehicle accidents with 111 people sustaining serious injuries. Amarillo had 67 non-incapacitating vehicle accidents that resulted in 524 non-incapacitating injuries. There were 767 possible accidents that resulted in injuries, with 1,130 possible injury victims. The final numbers include 4,585 total accidents in 2017. Lubbock, Texas experienced more accidents in 2017, reaching 5,606 wrecks that year. There were 25 fatal motor vehicle crashes that resulted in 25 fatalities. The numbers showed 79 serious vehicle accidents with 92 victims sustaining serious injuries. Lubbock had 487 non-incapacitating motor vehicle accidents that resulted in 608 non-incapacitating injuries. There were 1,174 possible injury motor vehicle accidents with 2,920 possible injury victims. Have you been in a car, truck, or motorcycle accident? All of these statistics show that driving in Texas can be dangerous, especially when other drivers are not respecting safety. But, by practicing safe driving habits and understanding where the risks are, you can help make roads safer. If you have been in a wreck caused by someone else’s negligence, it is important to speak with an accident attorney. Contact Attorney Dean Boyd for more information on how our team can help with your claim. You can reach us 24/7 at (806) 242-3333 or Send Us an email to learn more about our Services. You can also visit our offices at 4423 SW 45th Ave in Amarillo, Texas or 5012 50th St #103 in Lubbock, Texas to speak with us in person.